This emblem is a representation of Master Shimabuku’s dream and symbolic of the art he created after he awoke. The patch is often called Mizu Gami, which means ‘water goddess’. 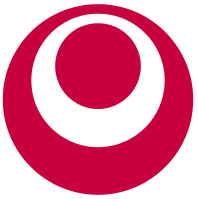 Originally the Isshinryu emblem was called ‘Isshinryu No Megami’, which means ‘Goddess of Isshinryu’. 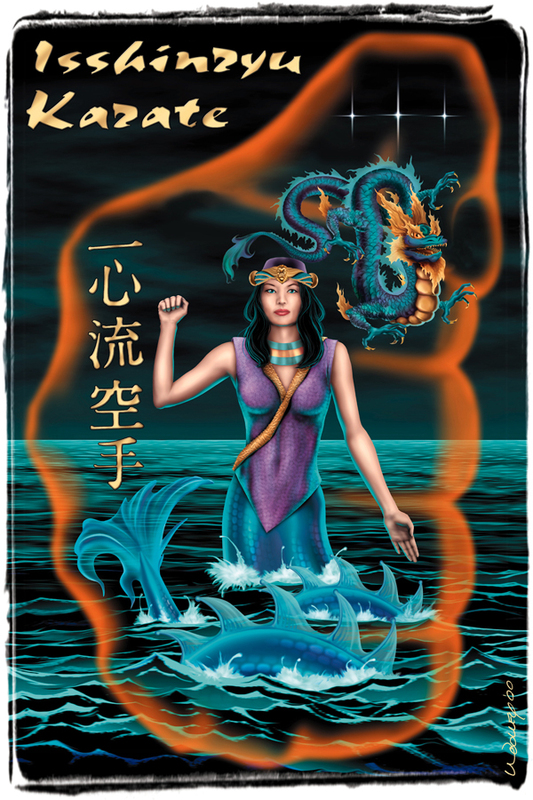 However; most Isshinryu karateka incorrectly call it Mizu Gami, or ‘Water Goddess’. Master Eiko Kaneshi, Tatsuo’s right-hand-man who is a Shinto priest when asked if it was ‘Mizu Gami’ said it has nothing to do with water. Isshinryu no Megami or Megami for short, is correct. Woman: Megami is a sea goddess, half woman, and half serpent. She symbolizes the quiet spirit of the true Karate practitioner but with the strength of the serpent if needed. Left Hand Open: The sign of peace. Right Hand Fist: Represents strength if evil persists. The Three Stars: May represent Shimabuku’s three chief instructors, Goju-Ryu, Shorin-Ryu, and Isshinryu, or the physical, mental, and spiritual aspects of Isshinryu. The Gray Background: Represents the calm and quiet of the night, and that Isshinryu is to be used only for defense. The Writing: Isshinryu in Kanji. The Troubled Water: The troubles of life above which the Karate Practitioner rises through training and growth.